Marble is a type of rock composed of recrystallized material most commonly limestone. The white marble comes from the most pure form of limestone. Colors and veins in the marble arise when other materials are present in the earth crust along with limestone. 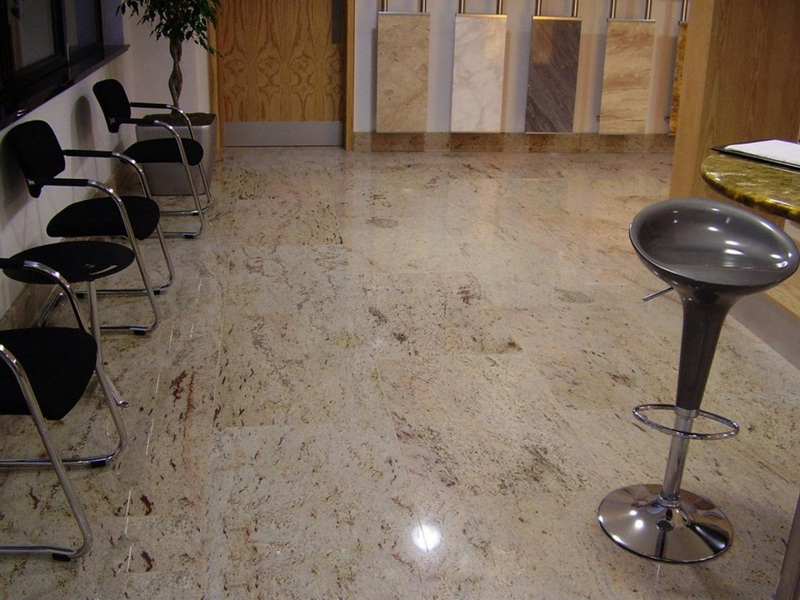 Marble gives soft look and provides elegance to the modern era structures. 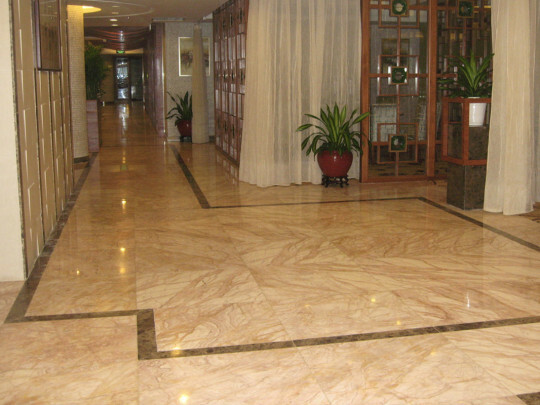 To implement marble flooring in any area, you would need marble stone, Coarse Sand, Ordinary Cement ,White Cement, Pigment and Polishing Material. Marble stone is laid on the base coat with 20 mm thick cement mortar 1:3 and joint should be filled with cement mixed with pigment. After curing it should be polished. Polished Finish, Hone Finish, Sand or abrasive finish. 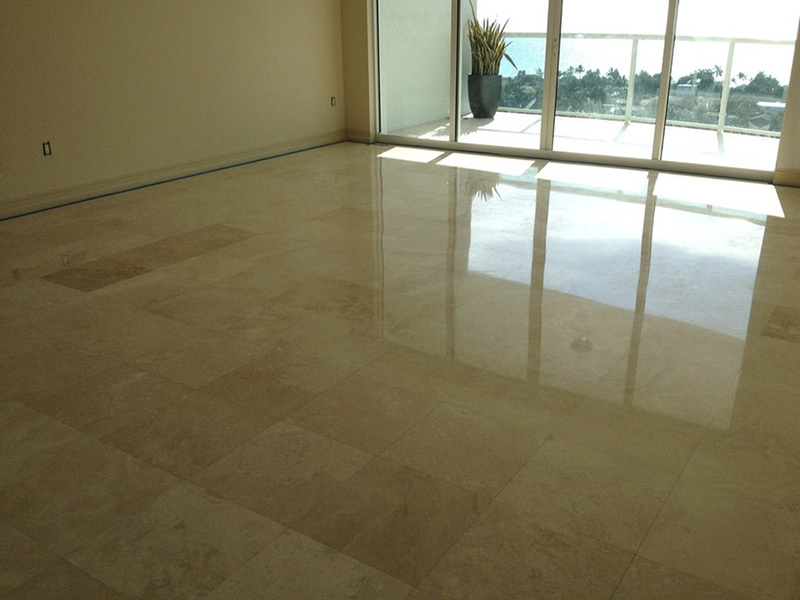 Maintenance: Marble are easy to maintain and can be re-polished if you need to bring the shine back, is a porous material so if strong stain material is spilled on marble, it is recommended to wipe it quickly so that the marble does not absorb the stain For general maintenance you just need to wipe off the marble to remove the stains. Polishing can be done after a few years to bring back the shine. 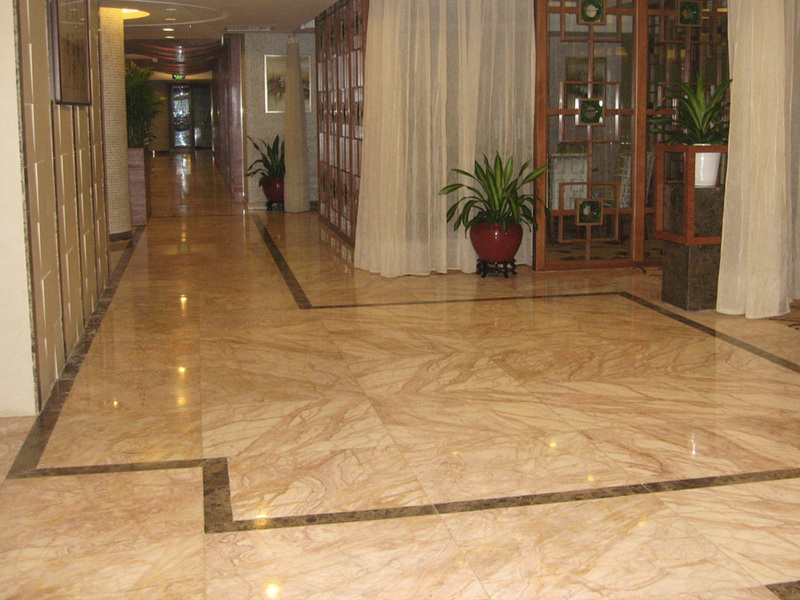 Advantages :Marble flooring is known for its superior, royal and decorative appearance. It is considered a style symbol, is durable, with matte finishes makes high quality kitchen counter tops exceptionally. Marble is also known for its’ versatility in the art a from sculptures to monuments and from wall tiles to floor tiles. 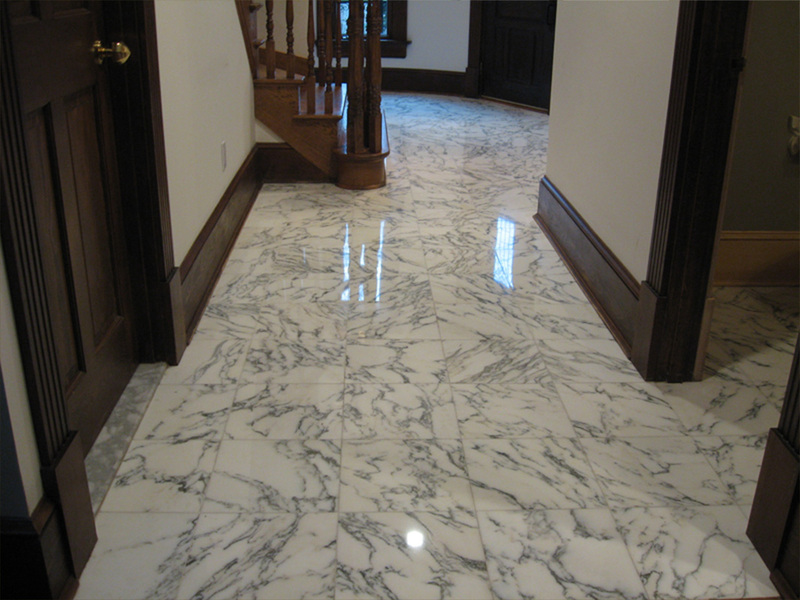 Cool surface of marble tiles can be quite pleasant and comfortable underfoot during the summers. Marble flooring is very easy to maintain and requires occasional sweeping and polishing. Uses: It is used in flooring in interior and exterior of buildings except pathway And corridors etc. It is also used on walls decoration. Size Availability: Marble stone come from rocks which are not uniform and have a size 10 to15 feet in length and 5 to 8 feet in width. The stone slabs are then cut and sold in the market. Thickness: Marble stone is available in 10 to 20 mm in thickness. The price of the marble varies if the thickness changes so make sure you understand the thickness of the marble being sold to you. The thicker the marble, the better it is from strength stand point. Strength: Marble is hard, sound and dense stone. Raw Material: Granite is a hard and tough stone that comes from ingenious rocks and is more dense and have more compressive strength when compared to marble stones. Implementation Raw Material: To implement granite flooring in any area, you would need granite stone, Coarse Sand, Ordinary Cement ,White Cement, Pigment and Polishing Material. Granite stone is laid on the base coat with 20 mm thick cement mortar 1:3 and joint should be filled with cement mixed with pigment. After curing it should be polished. Style/Finishing: Granite Stone is also considered very stylish. Its homogeneous look and crystalline finish makes it very attractive to designers. 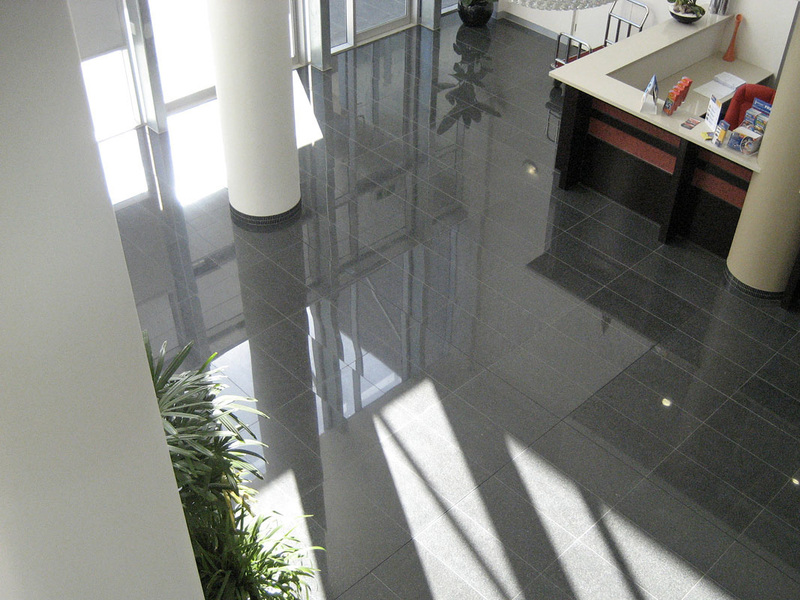 Polishing can be done easily on granite and wax polish is not necessary. Polishing can achieve a fine sheen on the granite. Maintenance: Granite stone is very easy to maintain and can be re-polished if you need to bring the shine back, is not porous so it does not absorb stains in normal home or commercial usages. For general maintenance you just need to wipe off the marble to remove the stains. Polishing can be done after a few years to bring back the shine. Advantages: Granite flooring is considered rich and gives a rugged feeling, is durable and hard and has homogeneous flooring, Scratch and stain resistant, Available in variety of colors, Easy to clean, Suitable for heavy traffic area, It is durable than all other types of flooring. Uses: It is used in flooring in interior and exterior of buildings including pathway, stairs, counters And corridors etc. It is also used on walls decoration. Size Availability: Granite stone come from rocks which are not uniform and have a size 10 to15 feet in length and 5 to 8 feet in width. The stone slabs are then cut and sold in the market. Thickness: Granite stone is available in 10 to 25 mm in thickness. The price of the granite varies if the thickness changes so make sure you understand the thickness of the granite being sold to you. The thicker the granite stone, the better it is from strength stand point. Strength: Granite stone is hard, tough and durable. It is more durable than marble.